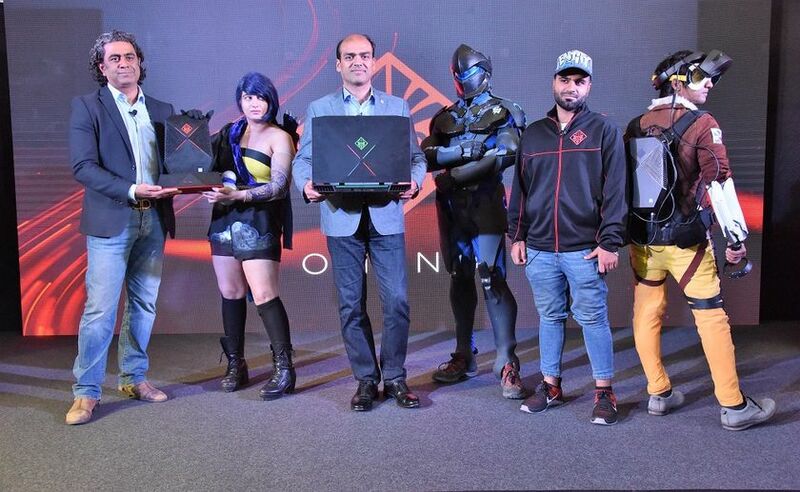 HP has introduced Omen X portfolio in the Indian market as a combo of a high-performance gaming notebook, desktop, and accessories. The Omen X also focuses on VR gaming and other user experience improvement aspects. Mainly, there are three core products- The Omen X Compact Desktop with VR Backpack, Omen X desktop and the Omen X laptop. Apart from these, HP has also announced a range of accessories for gaming including Omen Headset 800, Omen Mouse 600, Omen Steel Series Gaming Keyboard as well as Omen Steel Series Mouse Pad. Additionally, HP is also introducing the HP Windows Mixed Reality Headset which connects with the VR Backpack as a VR based gaming gear. Four hot-swappable batteries and a charging dock, two of which are used at a time while the other two can be charged simultaneously, enabling an uninterrupted gaming experience. The OMEN X Desktop is a mainframe gaming desktop with hardware capabilities as high as dual NVIDIA GeForce GTX 1080 and up to dual AMD Radeon R9 Fury X. 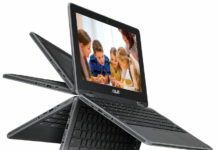 It is powered by an Intel Core i9 processor with overclocking capability. The thermal management is something that is quite special on this particular desktop as it sports a tri-chamber design to separate components and optimize thermals with dedicated cooling in each chamber. The Omen X Desktop can also support up to three 120mm liquid cooling radiators. 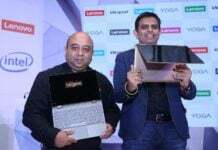 Along with these two desktops, HP has also launched the Omen X Notebook. The Omen X Notebook comes with a mechanical keyboard with 2.5mm key travel, N-key rollover & RGB LED per key. 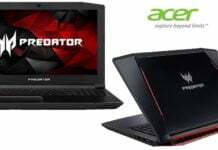 It has a 17-inch FHD display with an impressive highest refresh rate at 144hz or else the regular refresh rate is 120hz, along with factory overclocked CPU, GPU and RAID 0 configured SSD storage for faster boot speed & high responsiveness. 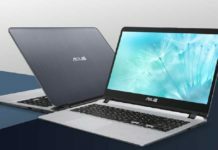 The Notebook is powered by the 7th Generation Intel Core i7 CPU options, factory-overclocked graphics cards up to NVIDIA GeForce GTX 1080, RAID0 SSD option, PCIe SSD+HDD storage options or a standalone 1 TB 7200 rpm HDD option. The notebook comes with the Omen Command Center Software and an enhanced thermal management. The notebook also supports DTS headphone support, HP Audio Boost custom lighting. 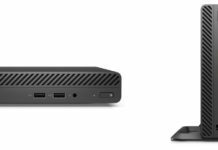 One more interesting thing about the Omen X Notebook is that the notebook has easy upgrading options like a single access panel to HDD, SSD, and RAM, support for up to four external displays, three USB 3.0 Type A, two Thunderbolt 3-certified USB 3.1 TypeC, HDMI 2.0a with HDR support, Mini DisplayPort, RJ45 and a multi-format media card reader. There is also dual audio jack with the separate microphone input and headset jacks. HP also announced some accessories like the Omen Keyboard 1100, which comes with mechanical keyboard switches and N-key Rollover for anti-ghosting. While the Omen Mouse 600 comes with customizable weight features and mechanical switches with up to 50 million clicks. Omen Headset 800 is a gaming headset that has thick ear cups for comfortable gaming sessions and comes with a good acoustic performance for clear high, low, and mid-tones. HP has also tuned the Omen Headset 800 for clear speech for communication within the game. HP has announced exciting pre-booking offers on the OMEN X portfolio till March 20, 2018. Under this offer, the OMEN X Compact Desktop will be pre-bundled with HP MR Headset, Omen Headset, Omen Keyboard and Omen Mouse. Omen X notebook will come with pre-bundled Omen Headset, Omen Mouse, Omen Mouse Pad, and 1TB HDD under the pre-book offer. Nice atrticle..!!! 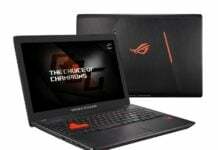 Its a great news for the game lovers.Very well explained the specification of the gaming laptop. I went threough your post and can toatlly relate your passion towards the technology. Do keep writing such amazing articles. Thank you son much…!!! It has a Nvidia GTX 1060 graphics card, intel core i7-8750H, 4-cell 70whr battery, 16 GB ram, 1tb HDD and 128gb SSD, bang and Olufsen speakers, RGB backlit keyboard. Cons: Arrow keys are too small, average battery life, tends to get hot with long gaming hours.